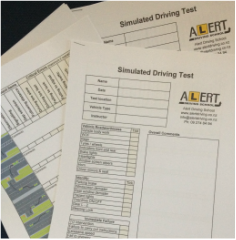 To ensure you pass your test give us a call and we can run through a Simulated Mock Test and give you a breakdown of each part and any bad habits that you might have picked up. Check out what our customers say about us and our high first time pass rates on Facebook and Google. NZTA Driver Test Center are located at Mt Wellington, Manukau, Wiri, Highbrook, Albany, New Lynn, Glen Innes, Glenfield, Pukekohe and Westgate Henderson. Meet us outside the test centers or we can pick up from your place (conditions apply) and run through a simulated mock restricted or full test. You are welcome to use your own vehicle or ours at no extra cost. We will be observing your Vehicle Position, Braking, Head Checks (Blind Spot Checks), Signal Use, Speed Control, Gap Selection, Searching and Mirror Usage. Driving straight ahead through a roundabout. During the assessment I will prompt you to describe the hazards that you see and its directions from you, you are also required to tell me the action you are taking to response to each hazard identified.